The Friesian Sporthorse Association (FSA) is the official registry of the Friesian Sporthorse. Offering a legitmate, reputable registry for Friesian Sporthorses worldwide. 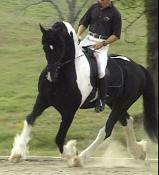 The premier registry choice for sport bred crosses of Friesian heritage. Don't be fooled by imitators. 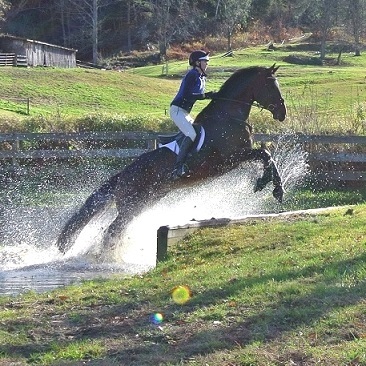 FSA the premier registry choice for sport-bred crosses of Friesian heritage. As a breed, the Friesian Sporthorse has a great deal of potential. 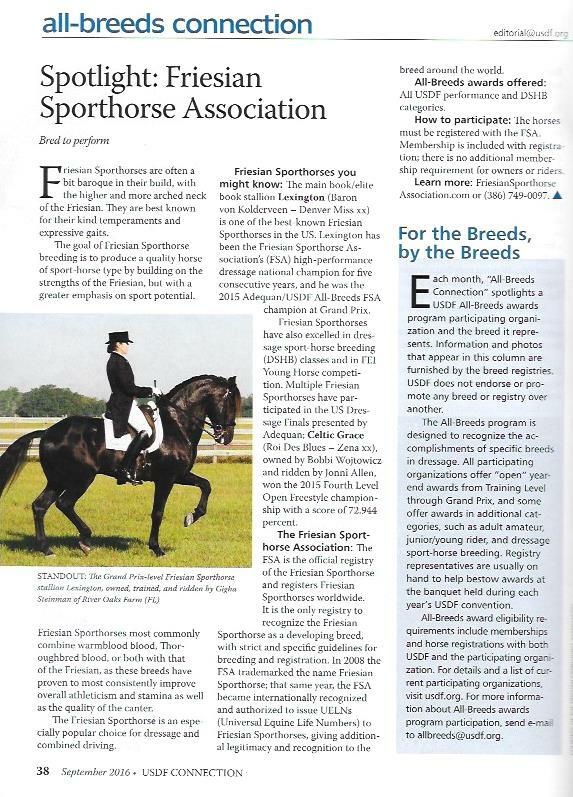 The goal of the Friesian Sporthorse Association is to encourage, document, recognize and maximize that potential. 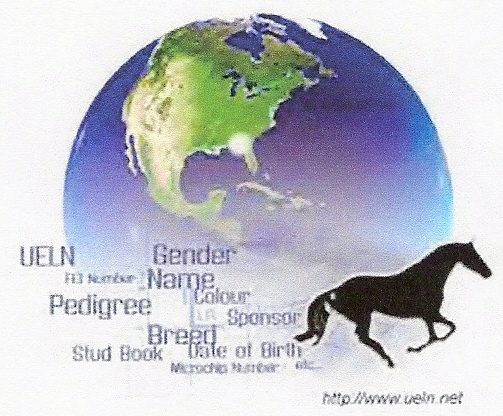 Friesian Sporthorses registered in the US and around the world. Friesian Sporthorse Association - the first and only registry dedicated exclusively to recognizing and promoting the true Friesian Sporthorse™. The premier registry choice for sport-bred Friesian crosses. Registration Guidelines, Breeding Approvals, and performance recognition. Friesian Sporthorse Association (FSA) Internationally recognized and offering a legitimate, reputable registry option for Friesian Sporthorses worldwide. The premier registry choice for sport-bred Friesian crosses. Registering Sporthorses of Friesian heritage. Registering Friesian Sporthorses and sport horses of Friesian heritage.